This content was published: September 8, 2014. Phone numbers, email addresses, and other information may have changed. Stephen Date has a lot of patients. 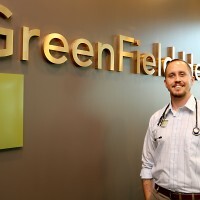 That’s because he’s a certified medical assistant and health coordinator with GreenField Health, a primary care clinic in Portland. The 2011 graduate of the Medical Assisting Program at Portland Community College is one of countless number of PCC alumni who have gone on to work in the health care field. The program prepares students to function under the supervision of a licensed physician or health care provider and is accredited by the Commission on Accreditation of Allied Health Educational Programs in collaboration with the American Association of Medical Assistants. As he finished his Medical Assisting certificate, Date found a better fit at GreenField Health where he could be more involved on the care side of a doctor’s practice. 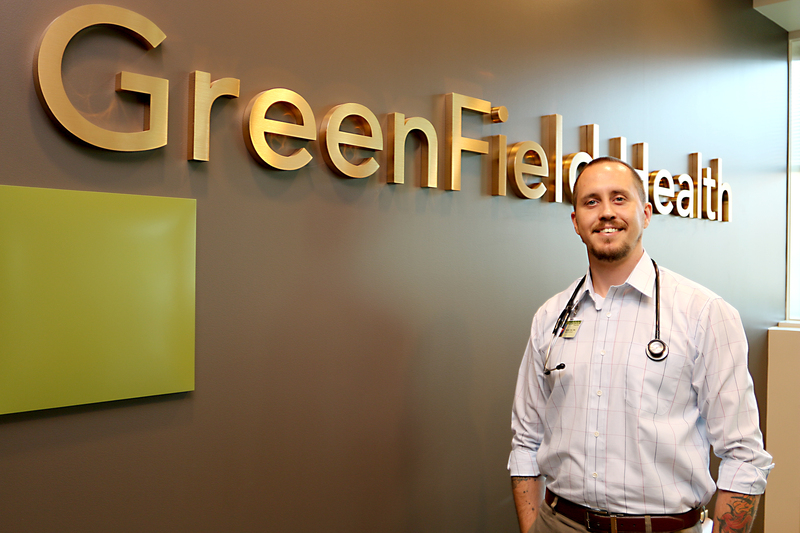 GreenField Health has a care-team model that relies on close collaboration between clinicians and their health coordinators with half the care focused on non-visit based care. 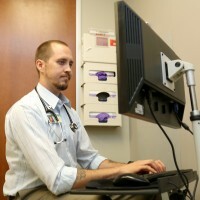 Date handles his doctor’s correspondence with patients, including secure messages, overseeing medication refills, signing authorizations for imaging, performing phlebotomy (drawing blood), and administering blood pressure and vital-signs. Date’s work allows the physician to concentrate on giving patients their needed care. Armed with a Montgomery GI Bill, Date enrolled at PCC to earn his associate’s degree. He was searching for a way to get into the medical field after graduation, friends directed him toward the Medical Assisting Program at the Sylvania Campus. So, he enrolled in the nine-month program after completing his two-year degree. 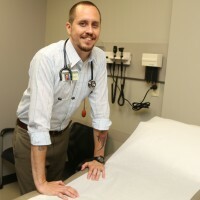 In his third term, Date was awarded a 90-hour externship at a local immediate family care clinic, working full-time while attending PCC part-time. The 2011 graduate of the Medical Assisting Program at Portland Community College is one of countless number of PCC alumni who have gone on to work in the health care field. A U.S. Marine out of high school, Date operated heavy equipment (bulldozers, forklifts…etc) in two tours of Iraq from 2000-2004. While overseas, he befriended Navy Corpsmen (combat medics), which fostered an interest in health care. The disciplined and professional nature of serving for the U.S. Armed Forces fit perfectly, he said, with the realm of medical assisting. 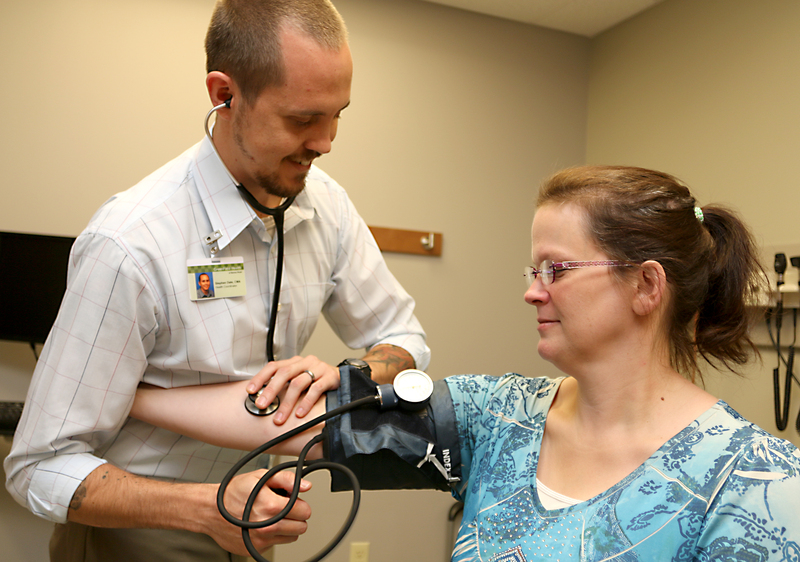 He uses those skills to help his fellow medical assisting professionals. Date served on the PCC Medical Assisting Program Advisory Committee, which provides guidance on the program’s curriculum and industry trends. Along with two other PCC alumni, he currently serves as a continuing education team member on the River City Chapter of the Oregon Society of Medical Assistants. 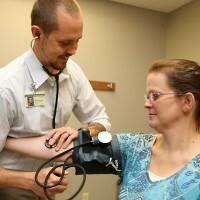 They are tasked with finding speakers to talk on relevant health care topics once a month to students and certified medical assistants, who must continually earn CEU credits over five years to maintain their credentials. Virginia Chambers, medical assisting instructor, knows all about Stephen Date. She mentored him throughout his time in her program and is proud of all the work he’s done not only for himself, but for others in the profession. Please note: Stephen Date is now one of the full time faculty members in the MA Program. I’m pleased to hear of this motivated Marine’s success story. Mr. Stephen Date sounds like he is an asset to the uniform. He utilized the G.I. benefits he earned through his service and is experiencing success as a Certified Medical Assistant. He is a benefit to our community, and seems to have thrived in the leadership role he investigated. Greatful to hear your story.